The Chief Executive Mrs Carrie Lam responded in her first Q&A session at LegCo on Wednesday (5 July) that outdated laws should be reviewed and updated. Mr Mok pointed out in his speech that one of the major obstacles impeding the development of innovation and technology is the lack of coordination among bureaus/departments. He asserted that policies should not favor protecting the status quo which often benefits vested interests. Hong Kong’s competitiveness in innovation has declined in recent years. Singapore, China and Taiwan have all adopted progressive approaches in regulating new technology. Instead of outlawing innovations, their governments have taken a stance to balance effective regulation with supporting innovation and technology sector. The government should be more proactive in addressing challenges from new economy and emerging technologies through broad consultation and reviewing outdated laws to send a positive message to the industries, in order to attract investment and talents from abroad. 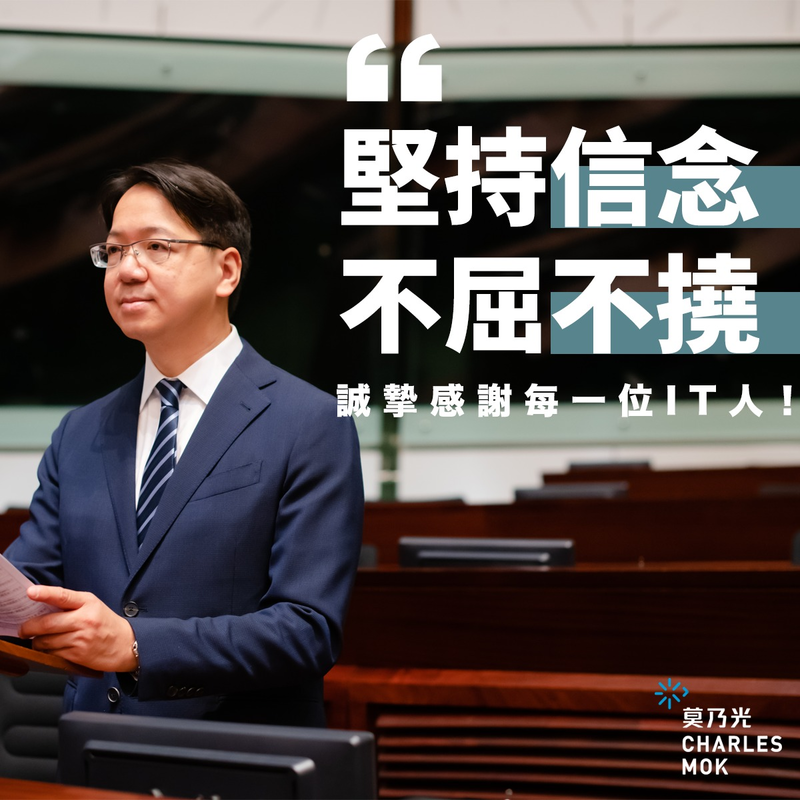 To illustrate the gravity of Hong Kong’s lack of progress, Mr Mok highlighted a number of cases such as online hailing service, ride-sharing, short-term home rental and Fintech. Many countries have consulted stakeholders and put forward new legislation to regulate innovative business models. Japan, for instance, has recently issued regulations on residential flats for lease on a short-term basis and Singapore is now issuing licenses for online hailing services and ride-sharing. Mr Mok urged the government to properly resolve the challenges between the current regulatory framework and the development of innovation and technology. He recommended the government to establish a cross-departmental working group on reviewing outdated laws, extend the use of ‘regulatory sandbox’ to other policy areas, create better communication channels with businesses, adopt Singapore’s approach of conducting pilot schemes to improve regulatory regimes and foster competition to make lives better for the community. After concluding the online petition campaign, Mr Mok will submit the signatures gathered to the Chief Executive’s Office and communicate with government departments to review outdated laws. He will also facilitate the liaison between the administration and the innovation and technology community to map out necessary changes in the regulatory framework which can protect public interests and allow innovation to flourish in this city.